Natalie Kleinman is my blog guest this week. Natalie was one of the very first guests on Wendy's Writing Now back in 2014 so I'm delighted to be welcoming her back. 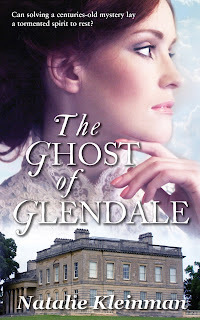 Natalie's Regency romance, The Ghost of Glendale, will be published on 25th April and I wanted to find out a little more about the novella and also about her writing life. We’re stuck in a lift. You have two minutes to persuade me to buy The Ghost of Glendale before help arrives. Ready, steady, go! 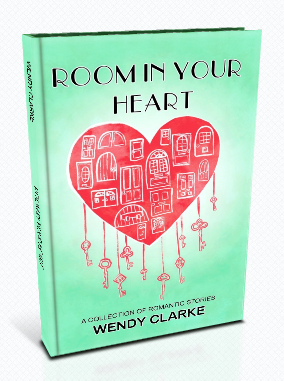 Phoebe Marcham is twenty-four years old and resigned to spinsterhood, unwilling to settle for anything less than the deep love her parents had shared. Then Duncan Armstrong rides into her home and into her heart, larger than life and with laughter in his eyes and more charm in his little finger than anyone she’s ever met before. The French Revolution is history and he’s been travelling on the Continent, indulging his love of historical artefacts and enlarging his collection. 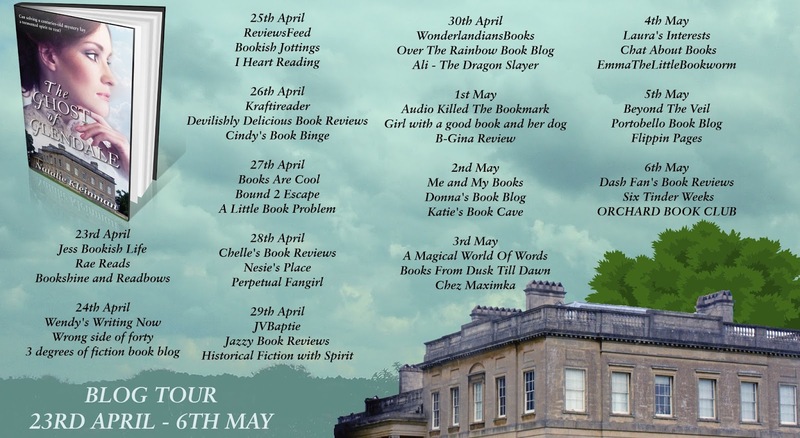 Home now, his thirst for adventure hasn’t abated and, far from ridiculing her family ghost, Duncan resolves to help Phoebe solve the mystery which has left Simon Marcham a spirit in torment for two hundred years. The Ghost of Glendale is a Regency novella, what attracted you to this period in history? Oh that’s an easy one. I was weaned on Georgette Heyer who is my all-time favourite author. She had wit and charm and a wonderful grasp of her subject. What can I say about her that hasn’t already been said? She brought that period in history to life for me and for so many others. In a way it took a lot of courage to write this book. It felt a bit like reaching for the stars. Georgette Heyer had done it before and done it better than anyone else in my opinion. But there was a compulsion which I couldn’t resist. I had to try. 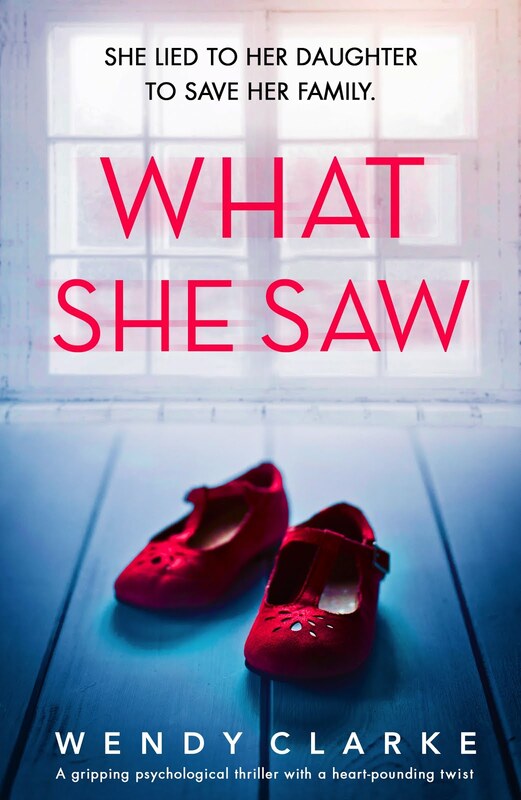 What three words would you use to describe your protagonist, Phoebe Marcham? This was a joy to write for many reasons but way up there was the fact that it was always only ever going to be novella length. The main thread was in my head from the start and it just fell from my fingertips. It took something in the region of four months, though it’s over a year since I wrote it. It was submitted to and accepted by The People’s Friend as a pocket novel, which is why I have chosen for the first time to self-publish. My justification to myself was that if it was good enough for DC Thomson it was sufficient endorsement to go ahead. Although I do plot more now than ever before, I am by nature a pantser. For instance, (and I’d be interested to know about your own experience in this field), when writing short stories I always have the beginning and the end. It’s getting from the one to the other that is a mystery until I start writing. In a way it’s similar with a novel, although I do try to have one or two sub-plots waiting in the wings. That said, something may come to me, seemingly from out of nowhere, and take me on its own sweet way. I have been known to write myself into a corner on occasions but mostly it works. The book takes on a life of its own and I go where it takes me. Am I allowed to say yes and no? I have suffered – oh how I have suffered – from staring at a screen in despair, wondering what on earth I was going to write next. But I believe these are the times just to get something written, anything written, in order to get things flowing again, even if it’s discarded later. Is that writers’ block? I don’t think so. It’s just a momentary lack of inspiration and that’s where the perspiration comes in. You have written short stories for magazines. Do you prefer writing shorter or longer fiction? Oh, both have their place in my heart. There’s a real joy in writing a short story. To create a world and resolve a conflict in a couple of thousand words is very satisfying. My short stories aren’t always happy ever afters but they’re always rewarding, for me anyway. That said, I don’t think anything beats the euphoria of completing a novel and, after however many edits, knowing you’ve done the best you can and told the story you want to tell. I never type ‘The End’. I know when it’s the end. Is there anything you wish someone had told you before you embarked on a writing career? Oh yes! I’d like someone to have said “Are you crazy? Don’t you know how hard this is?” But I’m glad they didn’t. I’m where I want to be. There have been so many, I don’t remember which was the first. In many ways it’s like going to the movies. When I was younger I would bite my lip and either not give way to tears or at the very least hide them from my companions. It was the same with books. Nowadays I cry unashamedly, at films, at books, and even at some of my own stories. What next for Natalie Kleinman? I’d love to write another Regency. I’m hoping this one is well-received. In the meantime there is a plot in my head. I know the beginning. I know the end. I just have to get from the one to the other. 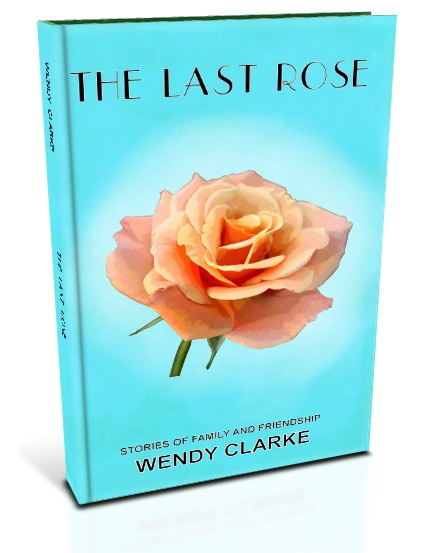 Thank you for hosting me on your blog, Wendy. I’ve enjoyed it so much. 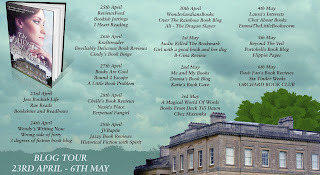 Natalie's interview has been part of a blog tour organised by Rachel's Random Resources. Thank you so much, Wendy. It's been a joy from start to finish. You’re very welcome, Natalie. Thank you for being a lovely guest. I do love a ghost. Good luck, Natalie. To my shame, I’ve never read any of Georgette Heyer’s books. Lovely interview, Wendy and Natalie. 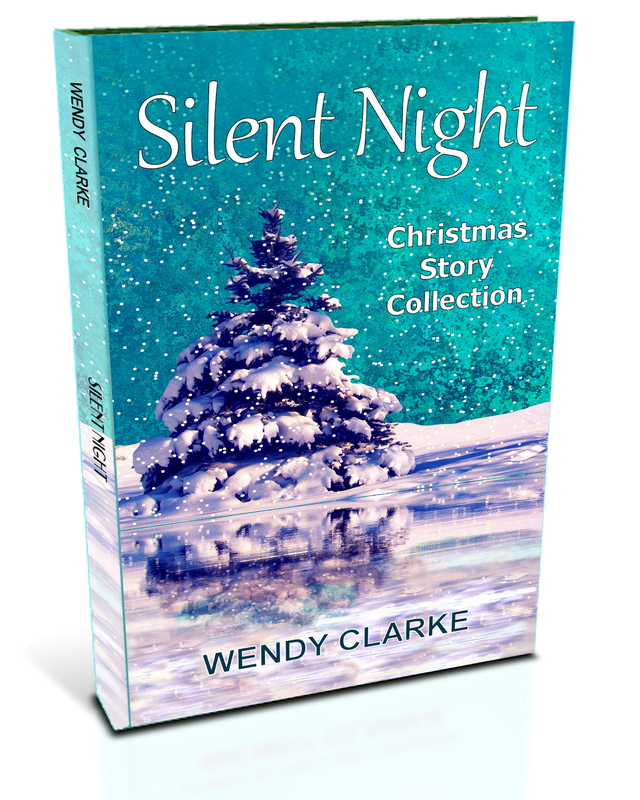 Love the sound of your book, Natalie - funnily enough my first novel was a Regency because I used to read so many! All the best with it. 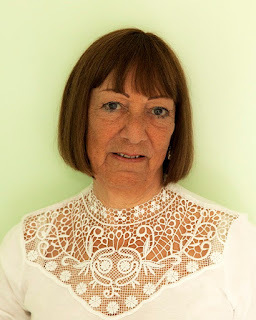 In teresting interview – and I agree that if it's good enough to be published as a pocket novel, it's good enough to self publish. What's Happening With Your Novel? Who knows?